David Ogunmuyiwa is founder of ArchitectureDoingPlace. He is unique in the UK having worked as an estate officer for social landlords including Lambeth, Southwark, Tower Hamlets and Circle 33, before retraining as an architect. He is also a member of our curation panel. In this essay he shares his thoughts on our 2019 theme of boundaries. Over the 2019 festival year, I’m excited to see London’s architectural speculations, interpretations and contradictions around the theme of boundaries. Especially the contradictions. Writers from Jane Jacobs to Ta-Nehisi Coates, from Walter Benjamin to Georges Perec, from Italo Calvino to Walter Mosley to Jorge Luis Borges, from Elizabeth Denby to Henri Lefebvre to William H. Whyte, describe how our shared built environment shapes each of us inescapably. Particularly inescapably. To me, ‘Boundaries’ also contains a quiet anxiety about limitations. The theme implies a territory on which a delineation can be drawn. Where do we set the mark and whose datum is it? Diasporas and historians are familiar with straight lines casually ruled across meandering land forms on a map; establishing arbitrary administrative boundaries. Londoners are part of a broad and heterogeneous urban pageant. Where are those boundaries in London? Where are those boundaries permeable? Where do we feel comfortable for them to exist, and where do we not? Bearing witness, these boundaries reveal London to itself. An essential revelation. Our day-to-day physical experience of London is defined by what is designed and what is undesigned, and also, by extension, who designs it. Architecture being in so many ways foundational to our lives, and often a prosthetic extension to who we are as communities and a society, makes me eager to see who typically contributes to its authorship and how that is fundamentally different from 100 years ago at the end of the First World War; Or not. Over the 2019 London Festival of Architecture programme, I look forward to entries that question boundaries around access, and questions like “who designs London in 2019?”. Robert Bevan is architecture critic for the London Evening Standard. He’s also a member of our Curation Panel. In this essay he shares his thoughts on our 2019 theme of boundaries. We live in a London that is in danger of becoming ever more segregated. Wealth inequality and property prices are the centrifugal drivers, pushing the economically disadvantaged to the edge with its follow-on consequences for so many aspects of the capital’s character — multiculturalism, class, educational aspirations and environmental quality. London’s communal mosaic — however imperfectly drawn — has long been a factor in its cultural and economic vitality, opportunity and cohesion. As this mosaic ossifies into a more monolithic picture, the city is in danger of becoming more like Paris with a mummified heart and non-Parisians and those marginal to the market, be they BAME, public sector workers, clubbers, artists, start-ups, cast out to the peripheral banlieues. At the very least, the needs of those who are out of sight become out of mind; at worst ‘otherness’ is intensified to the point of enmity and persecution. Otherness is the first step to treating people unlike you as less than fully human. Boundaries are created through the uses and abuses of defensible space, by poor doors, by estate renewal and social cleansing, privatised public spaces that exclude even without gates, by the vertical segregation of the luxury high-rise and in myriad other ways. Anger is said to be, in some cases, a physiological response to personal boundaries being breached or bulldozed but I’m hoping that this year’s LFA theme will throw up propositions that have some righteous anger about the boundaries being created in our city. Let’s NOT build a wall. 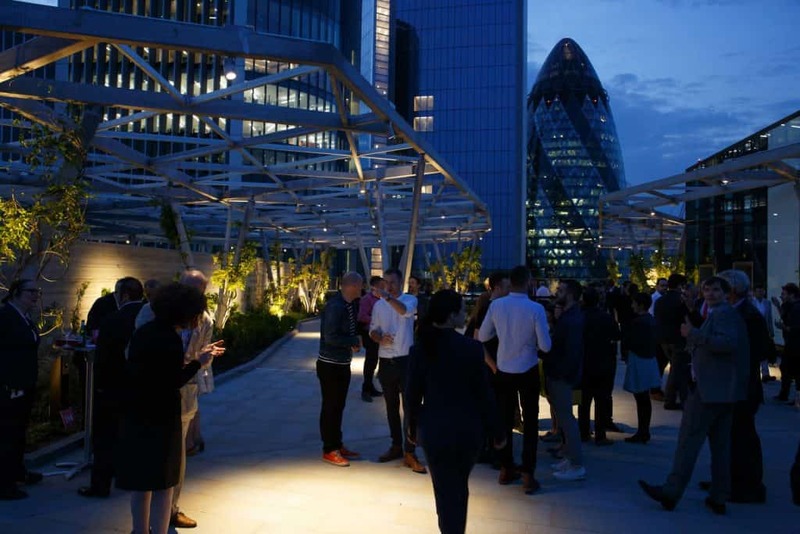 In this essay, Jamie Sherman, Partner at Kingston Smith, shares his memories of the 2018 London Festival of Architecture. Kingston Smith is a Benefactor of the LFA. So it turns out architects have more fun than I realised! When Kingston Smith agreed to be a benefactor of the London Festival of Architecture (LFA) for the first time, most of our architects’ team thought we would be attending events to gain some useful insight into the current landscape of London architecture – and meet some new, friendly faces in the process. While the festival did achieve this (and hi to all of you that I met during the festival), we also found that we were having lots of fun attending the diverse range of events. From open studios showcasing some fantastic projects, to lectures about architects’ inspiration for certain designs (including architectural greats Sou Fujimoto and Mary Duggan), the festival certainly did not disappoint. I think it is fair to say that creative architecture remains at the heart of the capital. It all started for us with a whistle-stop visit to the open studio of David Morley Architects. By introducing us to some of their projects, including the Sports Hub in Warwick and the Nursery Pavilion at Lords, David Morley provided a fascinating insight into the challenges they faced with the designs. David’s passion was clear to see and it was great to hear first-hand how such high-class facilities were designed. Thanks to the team at David Morley Architects for a cracking start! Next stop: the LFA opening party at the newly opened Fen Court building. Well,what a view! The rooftop garden offers stunning views over London and I have to say the design is quite spectacular! Hats off to Eric Parry Architects for the brilliant, unique design and a truly inspiring open rooftop garden space in the heart of the City. Make sure you pay it a visit to see the fantastic views of London. Perhaps the most impactful story I heard at the LFA was that of Mary Duggan. Mary is a hugely successful architect and she shared details with us of some of the marvellous projects that she has been involved in over the years, both while part of Duggan Morris Architects and more recently with her own practice, Mary Duggan Architects. While the stories behind the design were insightful and interesting, it was Mary’s journey through architecture that really inspired the audience (well certainly me). Mary described how the partnership she had helped build over the years had become a sizeable business and, while most would relish such growth, Mary had missed the day-to-day work as a project architect. She told us how she had longed to return to her passion of design and project architecture, and how this longing led her to found her own, new practice, to free her up to focus on project work. This is a story that no doubt reverberates throughout the industry. Getting bogged down in practice management issues, be it HR or finance for example, can drain valuable time and stifle creativity. Such talent should never be curtailed in such a creative industry (or any industry for that matter). This is a prime example of how business owners may be better served “doing the knitting” and leaving the running of the business to others. The final curtain was drawn on the LFA with the Patrons Dinner. I have to say it was a first for me to enjoy a black-tie dinner with 150 people delivered on a live construction site! A remarkable achievement from the team, particularly considering the lack of fixed electrics and air conditioning (in the midst of a UK heatwave). 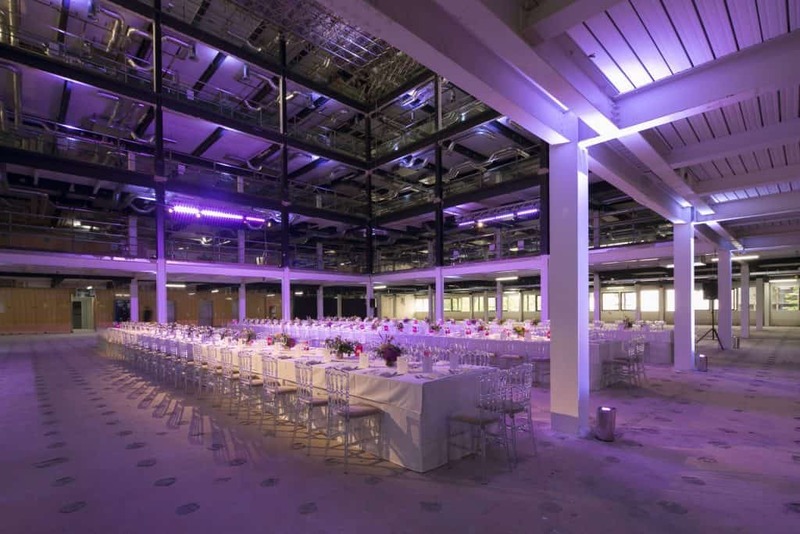 While the views were not quite as breath-taking as those at the opening party, it was clear to see that the building design was intended to be inclusive for all, with a large atrium spanning several floors. I hear that Mimecast has taken over one third of the space already and this promises to be an exciting building with a mix of office accommodation and retail space in the heart of Broadgate. All in all, the LFA was creative, inspiring, eye-opening – and more fun that I’d expected! Fast-forward a couple of months and the 2019 theme has been launched. “Boundaries” is an excellent theme with many facets and, judging from the conversations I had at the launch event, will lead to a diverse range of events and exhibitions. It is certainly a topical issue for 2019 with Brexit around the corner and the boundaries this may create; let’s hope it does not stifle the thriving creativity currently seen in the sector. I’d be interested to hear your views, so do get in touch with any comments – or just to say hello back. Here’s to next year’s event and the LFA once again breaking “boundaries” to achieve an even better festival! This essay by George Saumarez Smith, Director at Adam Architecture, was commissioned as part of a series of essays on identity and architecture for this year’s LFA. Classicism runs deep in the veins of London. A long walk across the heart of the city would encounter classical buildings on every turn, from Somerset House and Greenwich Hospital to the Banqueting House and Covent Garden Market. All around us are classical buildings by great architects from across the ages: Hawksmoor, Gibbs, Chambers, Soane, Nash. 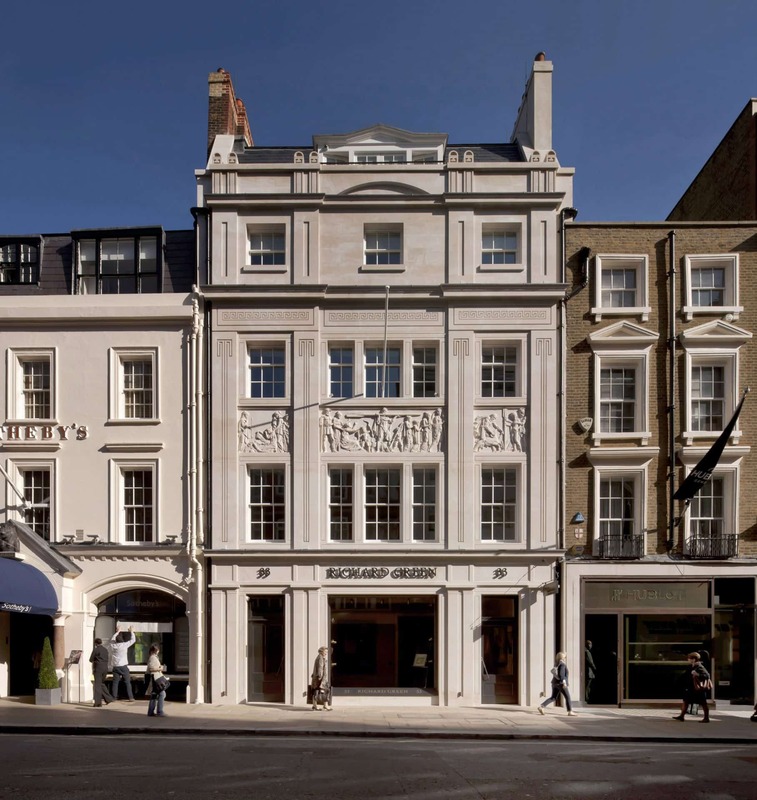 But Classicism lies too in more modest buildings, down to the simple houses arranged in streets and squares that make up so much of London’s urban fabric. These are not usually the works of great architects but of anonymous builders. In this British Classicism seems always to have excelled, so that a very plain house was given elegance simply by its repetition in a terrace, the proportions of its rooms and by the use of simple mouldings on its doors and windows. I was born in Islington and vividly remember both its leafy squares and the urban grit of Upper Street in the 1970s before it was gentrified. At weekends we would drive out of London through the East End, fascinated by the melting pot of cultures along the Lea Bridge Road and out through the suburbs around Epping Forest in search of the countryside. If we were ever in London on a Sunday morning we would head down to the deserted streets of Smithfield, and then deeper into the City, searching for Wren’s churches around St Paul’s hidden like precious pearls. To this day if anyone asks me what buildings they should see on a visit to London, I invariably say the City Churches. London has, of course, changed much in the last 40 years. Some parts have changed beyond all recognition, particularly those where clusters of tall buildings have appeared. All of this has altered London’s character immeasurably. During this same time, serious new classical buildings have been few in number and modest in size. There were of course the jokey Post-Modern buildings of the 1980s accessorised with over-scaled classical details, which came to represent the vulgar excesses of Thatcherite Britain. But this style came to an abrupt end with the early 90s recession and whilst London boomed in the early 2000s, it seemed that Classicists had become stuck with only producing historical reproductions. What a difference this was from the invention of the 1920s and 30s that brought us Lutyens’ Cenotaph and Charles Holden’s underground stations. Earlier this year I took part in a debate about the relevance of Classicism in the modern world. To me this seems beyond argument; classical architecture is all around us and part of who we are. But it seems that not everyone shares this view. The debate took place in the crypt of a church in Clerkenwell. The audience were mostly young architects; this would surely make a refreshing change from the punch-ups between Classicists and Modernists that became such a tedious part of architectural debate in the 1980s. I went up on stage to deliver an opening speech. Classicism, I argued, is an essential part of our cultural identity that has inspired artists and architects throughout the centuries. It ought to be properly studied and understood, and for too long it has been held in contempt by so-called ‘serious architects’. All of this holds us back, because a proper understanding of Classicism provides a foundation on which to understand construction, composition and proportion – what might be called ‘architectural good manners’. Too many new buildings seem to ignore these lessons and surely it would be of benefit to study them more closely in architecture schools. We live in an age of ever greater freedom of choice, acceptance and diversity, I said. It is time to re-evaluate the relevance of Classicism for a new generation, and to bring it back in from the cold. On the other side of the debate was a Cambridge historian who was doing his PhD on inter-war British architecture. He quickly launched into attack mode and soon the insults were flying. Architectural style, said this academic, was of little relevance when there were so many inequalities in modern society. What we should really be debating was political ideology, and modern Classicism, he said, was indelibly linked with ultra-conservatism. Designing classical buildings, therefore, put me alongside the pro-hunting lobby and religious groups opposed to homosexuality. It also apparently made me responsible for a wide range of historical atrocities, from the slave trade to the Holocaust. The fact that I have designed a house in New Delhi linked me with extremes of injustice in Indian society, as well as for the worst aspects of British rule in various parts of the Empire over a hundred years ago. More recently, I could also be blamed for government failures over the Grenfell Tower tragedy and the lack of opportunities for black communities in deprived parts of London. As these accusations were piled higher and higher, the atmosphere in the room became more and more boisterous. Each new insult was accompanied by yells of excitement from the audience, like an angry mob baying for blood. His parting shot was particularly stinging. ‘Why don’t all you Classicists go and live in Poundbury so we don’t have to look at you!’ The crowd roared their approval. As I walked home on that cold February night, I wondered how this line of attack would have sounded if it had been directed at someone else. If, for instance, Classicists had been replaced with a religious or ethnic minority, being told to live somewhere out of sight. And how would that same audience have reacted? I have thought a lot about this debate in recent weeks, and about the strange opprobrium still reserved by architects for new classical buildings. I have reached the conclusion that it is not about Classicism per se, but the fact that the buildings are new. There certainly doesn’t seem to be a problem if they are old. Architects love to travel to Venice, Paris or Rome and marvel at classical works, or even to live in old classical houses as many of them do, but the rules for new buildings are quite different. This seems particularly odd as in recent years the margins of difference between classical and non-classical new buildings in London have become increasingly fine. A completely plain and flat building faced in brick or stone is allowed; this is the basis of the New London Vernacular. But as soon as you add a string course, some shallow pilasters and a cornice, you will invite the wrath of a whole profession. Negative attitudes towards Classicism are forged in our universities through the way that architecture is taught. Classicism is seen purely as part of history, coming to an end with the advent of the Modern Movement in the early 20th century. When it comes to teaching design, students are rewarded for originality of thought, with innovation and difference promoted as ends in themselves. This necessarily rejects Classicism which is presented as irretrievably hide-bound by traditions and rules, despite the vast historical evidence of novelty and invention within the classical tradition. On top of all of this is the political and ideological weight attached to Classicism, as I had found in the debate. The obstacles are made virtually insurmountable, with the result that after five years of study hardly any students pursue an interest in Classicism. Ironically the most frequent route for them is to become architectural historians; there could be no better way of keeping Classicism safely locked in the past. Such attitudes have kept classical architecture on the margins for too long. In some ways this would not be a problem for society if better solutions had been found, but this is really not the case. Since the middle of the 20th century standards of design seem to have been getting progressively worse. Too many modern buildings in London are poorly designed and inflexible to changes of use. What kind of a legacy is this to be passing on to our children? So what alternatives can classical architecture offer? On a broad urban scale at a high-density, Classicism offers a better model than tall buildings through medium-rise development formed around streets and squares. This approach has recently been championed by the Create Streets movement and has been widely accepted across the profession since a similar conclusion was reached by the Urban Task Force in the late 1990s. But sadly these lessons seem to have been too often ignored, with high-rise tower blocks still appearing all over London. Just look at the City of London, whose skyline from the west now resembles a drunken crowd of photo-bombing pranksters parading behind St Paul’s. At the scale of building groups, Classicism offers many lessons in distinctions between public and private space, adaptability, visual hierarchy and composition. These subjects were much discussed by polemicists of the early 20th century and explored in pioneering social housing projects of the period. I think particularly of the Peabody Trust in London or of the example set by other European cities such as Stockholm and Berlin, where social housing was designed with elegant simplicity whilst being clearly Classical in origin. And at a finer scale, Classicism shows us how buildings should be decorated. This is where the infinite complexity of the classical language comes into play, based around the shapes and combinations of mouldings. They derive, ultimately, from the Five Orders which were for hundreds of years the basis of all western architecture. Shockingly, they are no longer taught. Classicism is at the core of London’s identity, but it seems likely that a lack of appreciation of classical principles will continue to erode the character of the city. It would be good, however, to end on a positive note and there are signs amongst an emerging generation that the wheel is turning. For them, Classicism no longer carries political baggage but instead seems to offer a model of a more humane, attractive and natural architecture. Over the centuries Classicism has been connected with everything from oppressive dictatorships to liberal democracy, why should it not now become a vehicle for a new more environmentally and socially conscious generation? The future is still up for grabs, why should it not be classical? This essay from Rt Hon Ed Vaizey MP is part of a series of essays on identity and architecture commissioned by the LFA. Identity is the theme of this year’s festival. The Houses of Parliament have had a rough ride over the years. Ravaged by fire, peppered with bombs, and now crumbling into the Thames. The reconstruction has been extensive and recurrent. As the building has evolved, so too has its impact on our identity. A royal residence in the early 1000s, an “incomparable structure” according to William Fitzstephen in his 12thCentury description of London, with a grandeur and scale befitting of its regal occupants, Westminster Hall was the largest structure of its type in Europe at the time. The site has been the full-time home of Parliament since the 1500s, with most of the present-day Palace built following a ruinous fire in 1834. A competition for its redesign followed – won by Sir Charles Barry, with the help of Augustus Pugin, for their Gothic-inspired proposal. This is despite (or perhaps because of) the dominance of neo-classical architecture in the 1800s – most notable in Soanes’ Bank of England and the Capitol and White House in Washington D.C.
It’s easy to forget that the latter is older than the Palace of Westminster. Predating it by almost 70 years, in fact. In part due to its popularity across the Atlantic, the design form was too synonymous with ideas of revolution for the new Houses of Parliament. The approach chosen by Barry was therefore a revival of a style popular a few centuries before. A fitting expression of British conservative values. A romanticised throwback to the past. Even at this stage, identity was an important part of the conversation. Its impact on our national identity shouldn’t be understated, either. A historic source of national pride, the Houses of Parliament have grown to be the embodiment of Britain. Like The Beatles, Stonehenge, roast dinners and going out on penalties in the World Cup. However, in terms of its impact on the identity of parliamentarians, questions can be asked – and have been throughout the 20thCentury. In World War II, the Palace of Westminster was hit by no less than fourteen separate air raids, with the Commons Chamber destroyed on the final day of the Blitz in 1941. In 1943 – and taking place in the temporary location of the Lords Chamber – MPs debated the rebuilding of the Commons. It is during this debate that the impact of design on identity again reared its head. Most other European countries were beginning to adopt a semi-circular layout for their chambers – an approach which seeks a more cohesive style of politics and active cooperation between parties. However, with the insistent backing of Winston Churchill, the House of Commons retained its directly opposing benches. Consequently, it also kept the theatrical, confrontational politics which had grown to define the British parliamentary system. This was only further heightened by the decision keep the chamber small – there are just 427 seats for 650 MPs. The debate has been brought bubbling back to the surface in recent years by the argument around refurbishment. The Houses of Parliament have become increasingly unfit and unsafe. In the last 10 years there have been 60 incidents which could have resulted in a serious fire. A team works around the clock to hunt out blazes on the estate. Asbestos is rampant. Parts of the stonework are crumbling away. The foundations need urgently shoring up. Many of the pipes and fittings have been left unreplaced since the 19thcentury. The list goes on. The need is blatant. The desire less so. After decades of being kicked into the long grass, MPs voted in January to fully leave Parliament for six years so that repair work can take place. But it was close, with a majority of just 16. And it still won’t happen until at least 2025. Admittedly it is an expensive job. The option opted for is estimated to cost around £3.5 billion. But it is necessary – compounded by the fact the Houses of Parliament are a UNESCO World Heritage Site. Plus, the alternative, a rolling programme taking decades, would cost at least £2 billion more. For those opposing a move, it is the heritage, the culture, the tradition which are at least contributing factors. The fear is about losing the customs and conventions which have become entwined with working in the Palace, the prospect of delays keeping MPs and staff away for an indeterminate amount of time. The threat to identity posed by moving from a building steeped in history and by forcibly unshackling the rusty chains of nostalgia. But it’s for these reasons that I support our Parliament upping sticks. In a hypothetical scenario I would take it one step further too: a permanent move. I have no doubts that a new, modern Parliament building would have a profound impact on British politics. If we continue to occupy a heritage building, then we will continue to have heritage politics, with archaic forms of address and debate, a system designed, like its building, to keep the public at one remove, and politics out of touch. How much bolder it would have been to have designed a new building, as a statement of intent for our country to embrace the future, as opposed to clinging to a nostalgic past. Winston Churchill once famously said: “We shape our buildings and afterwards our buildings shape us.” For our Houses of Parliament, a fusty, old building adorned with gargoyles, that is perhaps all too true. White cube or blank box? Listed building or reused space? Is there ever an ideal setting in which to view artworks? Wednesday evening’s event ‘Art Galleries in Reclaimed or Listed Buildings’ brought together four creative industry professionals to discuss various approaches to artistic display. Over the past 50 years the White Cube has dominated the art world as the primary method in which to display modern and contemporary artworks. However, while the simplicity of a white walled space creates a pure and focused environment, considering heritage and listed buildings as gallery space brings about some interesting debates. Cromwell Place was presented by Paul White of BuckleyGrayYeoman as a project which presents a new type of gallery model. When complete, the project will combine five listed buildings to create a modern, multi-levelled co-working gallery space. Director Paul White described the project as a ‘new gallery hub’ in which artists, curators and gallerists can share resources, ideas and space. While co-working gallery spaces are not a new concept, it is arguably the generous Victorian architecture which will create the unique yet highly functional collaborative gallery space. Marlene von Carnap, Associate Director at Michael Werner Gallery, also presented her views on art placed within antiquated buildings. Her gallery space, set in the heart of Mayfair, makes use of tall ceilings and an abundance of Georgian wooden detailing. While the dramatic setting could be viewed as distracting by some artists, Marlene said that more often than not, the history of the building responds to the thematic diversity of their collections. Both examples present positive alternatives to the hyper-modern White Cube display. However, there does exist undoubtable conflicts between the unification of contemporary art and listed buildings. Vanessa Norwood, Creative Director of the Building Centre, discussed the love/hate triangle between artists, curators and architects. While listed and heritage space is famed for its beauty, the tall ceilings and sweeping windows make environmental control difficult. The artist and curator, she argued, will tend towards more White Cube spaces to enable air, light and temperature to be properly controlled, while the architect is more focused on preserving architectural history. White Cube spaces are undoubtedly beautiful, but also have a tendency to be create lifeless and dry exhibitions. Perhaps the natural antagonisms and alliances that come with showing contemporary art in historic and listed buildings is one way in which to strengthen exhibition design. As the Thames flows through the heart of the city, it takes with it decades of architectural history and industrial heritage. Whilst once acting as London’s superhighway for coal and power, it now exists as a pathway for development, infrastructure and culture. A closing event for this year’s LFA was an architectural boat cruise along the Thames hosted by Simpson Haugh. The aim, to uncover and explore the connections between the city and its iconic river. Boarding the mighty Jupiter Clipper, we cruised through London’s docklands where the landscape changed rapidly from post-industrial ruins to modern masterpieces to future skyline shapers. The winding meanderings of the river highlighted the volume of contextual contradictions dotted along the banks. The final destination, the monolithic Battersea Power Station. Moving from land to sea, discussions shifted onto the cultural identity of the river and the impact of current riverside developments on the wider cityscape. WilkinsonEyre Director Sebastian Ricard shared his thoughts on Battersea Power Station, where we are working on developments of Phase 2. As a key part of London’s skyline, the space has posed a huge test for developers and designers alike. During the early 20th century when power production was as its peak, the station was generating twenty percent of London’s electricity supply, until it ceased altogether in 1983. The challenge for WilkinsonEyre has been to bring the Power Station back to the river while respecting its industrial heritage. Original features of the building, the iconic chimneys and complex brickwork have been sensitively and painstakingly restored, reviving its architectural identity. More widely, the building’s public spaces have been reopened for the first time in over 50 years, further adding to the urban grain of Wandsworth. When complete, the development will provide a new narrative for a section of the river left unoccupied for years. Throughout the evening, debate moved away from development and towards the burgeoning cultural potential of the river. Sarah Gaventa, Director of the Illuminated River project argued that ‘while the Thames is London’s largest open space, we have very little access to it’. At points the river banks can be uninviting places to be, especially at night. Introducing cultural capital to the banks of the Thames aims to increase public space and reverse current disconnects between land and water. We ended discussions with Publica’s Victoria Wagner. She argued that while the river was once industrial, we should now view it as a shared and communal cultural space. 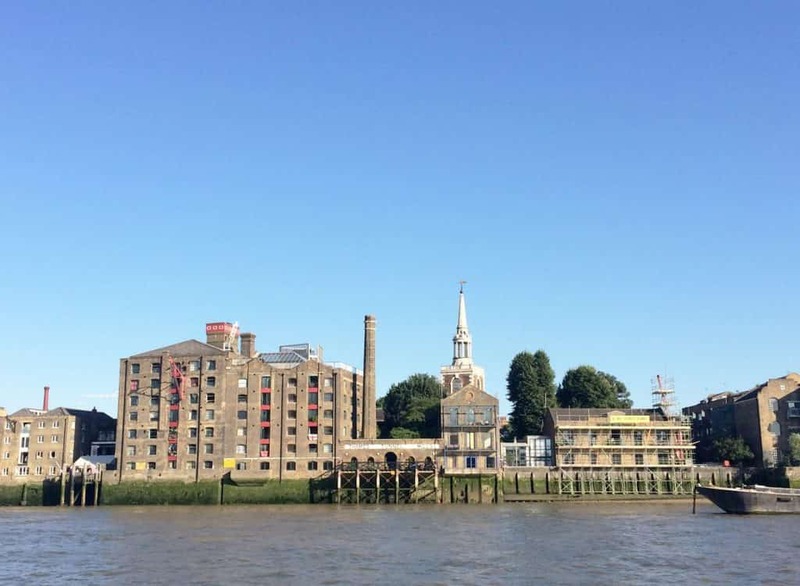 There has been a huge amount of growth along the Thames at an unprecedented scale, marking this as a critical moment for the river’s social and political history. While integrating physical infrastructure, social infrastructure should be as important in bringing about positive changes. The event was both enlightening and insightful, offering key lines of debate on the status of London’s Thames. With ambitions and opinions on how we should be using the river differing widely, we need visionary and collaborative planning to allow the Thames to reach its full potential. After sitting in an office without air con on a warm day your enthusiasm for events can sometimes wane. This one was touch and go – it was fully booked, I hadn’t registered, a cold glass of wine by the river appealed. But I’m delighted to report that this one was a real winner. ‘Art Galleries in Reclaimed or Listed Buildings’ was a discussion on the architecture of exhibition spaces and how spatial design changes our interaction with art. 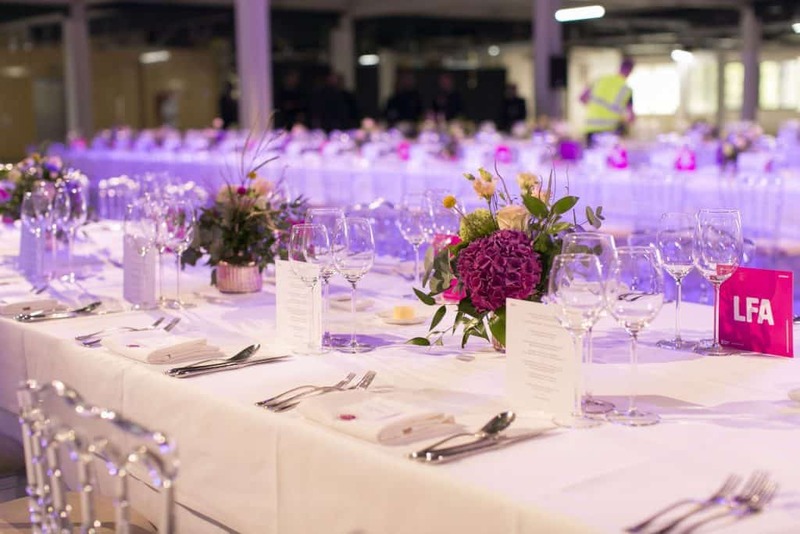 It was held at The Old Operating Theatre Museum, in the attic of the old St Thomas’ Hospital. We entered through a small door and climbed a 52-step spiral staircase that led us to the museum which is quite magical. 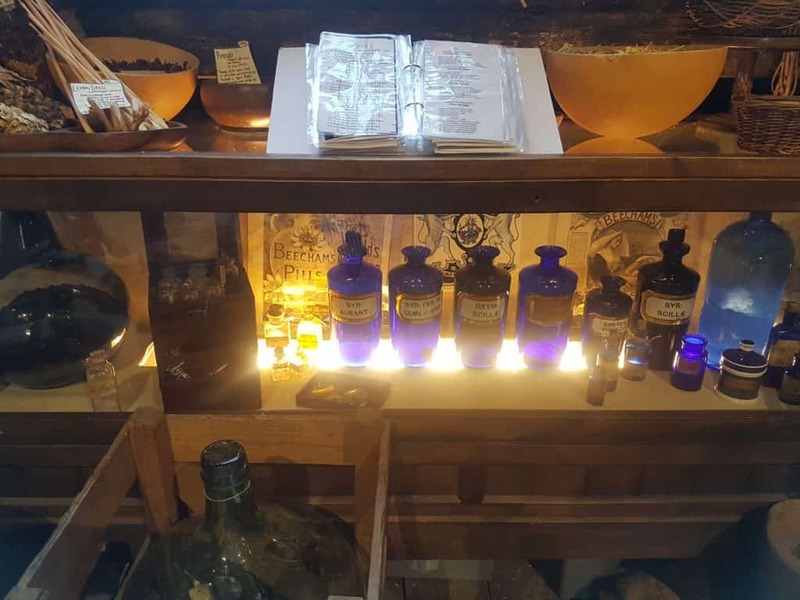 Amongst the rafters are display cases of historical surgical equipment – the place is ghoulish and charming in equal measure. 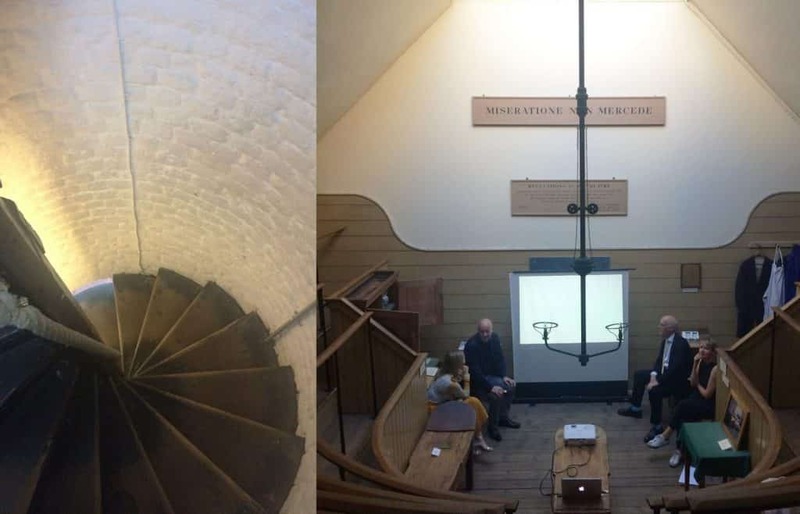 The talk itself was conducted in the museum’s operating theatre, built in 1822 it is the oldest surviving surgical theatre in Europe. It was such a spectacular start that the audience were already engaged and talking before the event began. The event was chaired by Vanessa Norwood, The Building Centre’s new Creative Director and co-curator of the British Pavilion for the 13thVenice Architecture Biennale. Paul White of BuckleyGrayYeoman talked of Cromwell Place, a fascinating project to redevelop five listed buildings to create a collaborative hub for 30 galleries. Sir Charles Saumarez-Smith of the RA shared his experience working for some of the most prestigious art establishments as well as commissioning architectural spaces for art. Marlene von Carnap of Michael Werner Gallery focussed on the impact of architecture from a curatorial position. 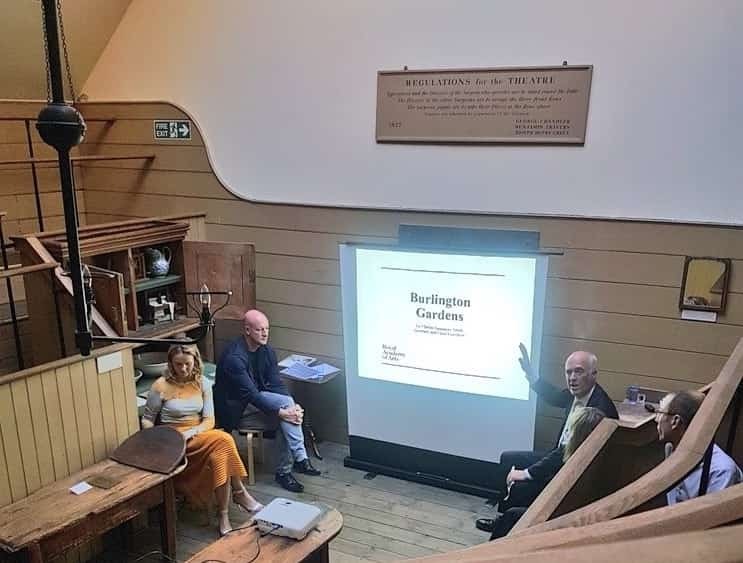 The consensus was that the galleries benefited from the added character of a listed building, this wasn’t a huge surprise as all three speakers are working with listed buildings but it was interesting to hear about some of the contemporary considerations they needed to think of. Marlene talked of using the space to make Instagramable moments as part of the curatorial process, an increasingly important part of a visitor experience. The speakers also discussed a wider change in the way we visit galleries with Sir Charles explaining that architectural commissions for galleries have changed enormously in the last century, with greater emphasis on cafés and socialising spaces. Vanessa pointed out that even in the last twenty years there has been a significant change in European gallery design with a move away from ‘buildings with an ego’. 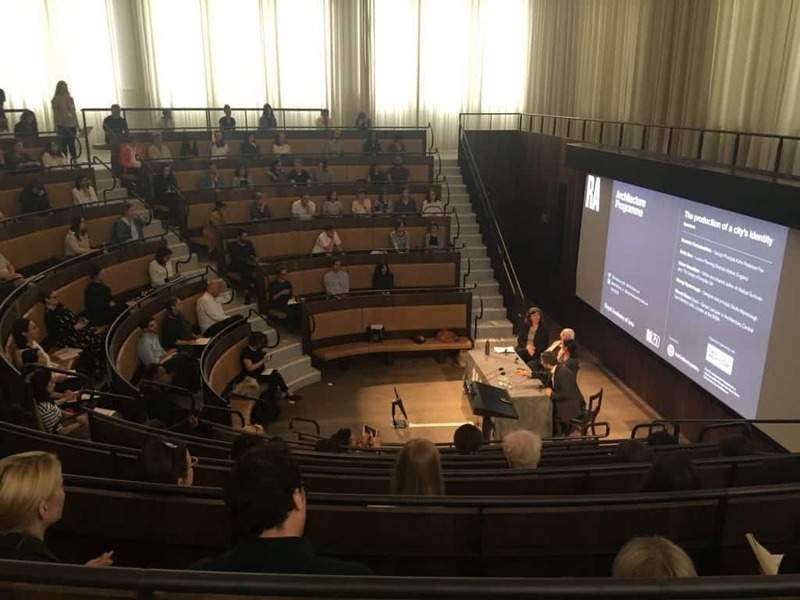 The speakers agreed with Paul explaining that sensitivity was essential in their design approach and Sir Charles describing how the Chipperfield extension was attentive to the existing building and its access to light.